Going on a trip to Latin America? Spain? Or what about the Caribbean? You might end up with a hangover—maybe just not the kind of hangover you were expecting. I’m talking about a linguistic hangover. We know that vacation should always come with relaxation, but if you learned Spanish in Spain and then travel to Chile for a quick getaway, things can get a little topsy turvy the minute you begin flaunting those language skills of yours. Why? Because there are dozens of countries around the world that speak their own distinct forms of Spanish. 21 countries consider Spanish their “official” language, but that doesn’t include other smaller nations that still speak it, such as the Philippines, Andorra, Trinidad and Tobago, the list goes on. Since Spanish is the world’s second most spoken language after Mandarin Chinese, this can only mean one thing: Spanish vocabulary is diverse! With tons of vocabulary coming from different dialect, you’re bound to get a little confused. Certain Spanish words range wide and change over regions and landscapes. Words may even have double meanings. What might have one distinct meaning somewhere may be a completely different word with a different meaning elsewhere! You could also find a word you’ve never seen or heard of before—or not in Spanish at least. The is due to cultural diversity and its influences on language. One example of this can be seen in countries like Ecuador, Colombia, Bolivia and other parts of South and Central America (don’t forget the Caribbean!). Through the centuries, indigenous people of these countries have mixed the Spanish language with their native tongues, and this plays a major role in the discrepancies between dialects. Everyone’s got their own way of saying it! 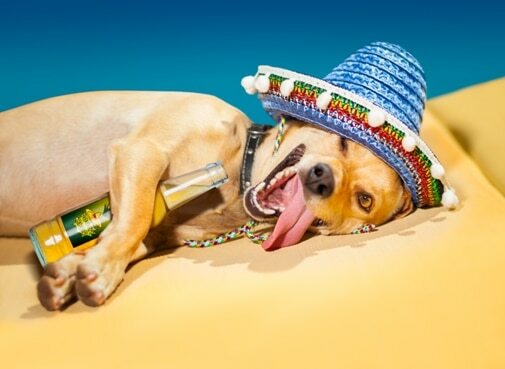 While some native Spanish speakers might be able to understand common Spanish slang from other distinct dialects, such as the regional slang word for “hung over,” this isn’t always the case unless they’re familiar with it already. While they might know the specific word used to say “hangover” in another region’s version of Spanish, the meaning attached to that specific word might not mean the same thing in their home regions. It all depends on what country you’re in and who you’re talking to. Exchanging the various meanings of Spanish words can be a great conversation starter and topic of discussion, and understanding the origins of the language will certainly help you get the ball rolling. Oh, and if you’re on vacation, this list of Spanish slang words may kind of fit the scene, if you know what I mean. It’s popularly used in Spain, Argentina, Cuba, Peru and almost all of the Spanish-speaking countries. Most people will know what you mean when you refer to resaca since it’s considered the “standard” Spanish term for this concept. The literal translation of resaca in English is “to re-take out.” The word derives from the verb resacar which, in essence, describes a scenario of being taken out and pulled back in, only to be re-taken out again. Resaca is also the movement waves make when they regress back into the ocean. Resaca de las olas. — Regression of waves (also known as “undertow”). Imagine a blunt, forceful undertow sucking you in. That’s exactly what resaca means, and it’s quite similar to how a person feels when being hung over. Tengo resaca. — I have a hangover. If you’ve traveled to a Spanish-speaking country before, particularly one in South or Central America (regions this fruit is native to), then you might already know what guayabo truly means. If you don’t, guayabo translates to “guava tree,” while guayaba is the actual guava fruit itself. This common Spanish slang term is only heard on the streets of Colombia, and that’s about it—nowhere else. While other countries may understand its true meaning, “guava tree,” they will not use it to describe a hangover like Colombians do. Keep in mind that guayabo (in its tree-masculine form) is the only way it can be said to describe a hangover or, in some cases, being sick. Tener guayabo. — To have a hangover. Estar enguayabado. — Be hung over. The feminine version of guayabo can only be said when using the estar form. Such as, está enguayabada. — She’s hung over. Another way to use guayabo is in the “being sick” sense (also popular in Colombia), which isn’t at all related to being hung over. Me da guayabo ver esta gente siempre usando sus teléfonos móviles. — It makes me sick to see these people always using their cellphones. Sentada ⇒ Senta-a — Sitting; the d is silent. Preocupado ⇒ Preocupa-o — Worried; again, the d is silent. Most of you should know what this word means because it’s an everyday common word found in the Spanish dictionary. Originally, crudo translates to “raw,” “undercooked” or “crude,” and is used to describe a raw or undercooked piece of meat, a crude resource such as oil or a cruel, cold person (form of expression, not literal). It can also refer to crude language or someone who uses it. Esta carne está cruda. — This meat is raw. Esa mujer es cruda y mala. — That woman is cold and mean. Crudo, in its common Spanish slang form is…you guessed it! Another way to describe a hangover. Countries that most popularly used in this slang form? Mexico, Guatemala and possibly other parts of Central America. This Spanish word has what seems like a million English translations: gum, anything sticky, an elastic substance, an adhesive or an eraser. This is sometimes even used to talk about rubber, like a goma elástica (rubber band). ¿Me prestas una goma para el examen? — Will you let me borrow an eraser for the test? There are many “official” Spanish translations as well as colloquialisms for goma, but if we’re sticking to this list here, goma is also a common Spanish slang word for hung over. Ayer tomé demasiado y ahora tengo una goma horrible. — Last night I drank too much, and now I have a horrible hangover. The elasticity of a rubbery substance could resemble the way a person feels after a night of drinking, a little sticky, squished or bent out of shape. This could explain why some use goma to portray a hangover. Goma, if you’ve noticed, is a feminine word, so it must stay that way! One can never say gomo. Period. If you find yourself traveling through parts of Central America, goma, like crudo, is most popularly said in Costa Rica, Guatemala, Nicaragua, Honduras and other countries in this area. Keep these demographics in mind! Why? Well, because the word only exists for the sole purpose of describing a hangover. There’s no double meaning attached to the word chuchaqui and it’s pronounced exactly how it’s written: chu–cha–qui. It’s clearly not a Spanish word, right? It just sounds different from what you might be used to hearing, This is because its roots come from Kichwa, an indigenous language. Kichwa (pronounced kee-chwa) still thrives in large parts of Ecuador, some parts of Colombia and even in regions of Peru. It’s the native tongue of people indigenous to these parts of South America, who lived here before the arrival of Spaniards. Although Kichwa is one of the main native languages found in South American countries that are situated along the Andes mountain range, the word chuchaqui is part of a dialect that’s only heard and used in Ecuador. Chuchaqui derives from chaqui, which in Kichwa is a word that expresses the nausea a person gets after chewing too many coca leaves. ¿Tienes chuchaqui? — Are you hung over? Sí, estoy chuchaqui. — Yes, I’m hung over. Chuchaqui is chuchaqui, and it’s the only way it can be spelled or said. Note: Bolivia uses the word chaqui to signify a hangover, the only difference is that they’ve kept it as chaqui and sometimes spell it like chaki. I know that you’ve seen both of these words separately before, mala and caña. If we break them up we get, “bad” and “cane.” And that’s cane as in sugarcane, not a walking stick type of cane. In Chile, and only Chile, mala caña is used to express that you have a hangover. The sugarcane, caña, apparently represents your state of well being in this context. Perhaps this stems from the idea that if you’re not feeling too hot, then your sugar levels must be off, meaning they aren’t as sweet as they should be—just a stab in the dark, but it seems to make sense. Thus, you have a bad cane, mala caña, as opposed to a good one. Tengo una mala caña. — I have a bad hangover. Tengo una mala, mala caña. — I have a really bad hangover. Caña can never be used without mala to express a hangover, they go hand in hand for this purpose. Note: We use the adjective mala instead of mal or malo because the word caña is feminine, and in Spanish, words in a sentence must always agree! You probably know that ratón means “rat,” but do you know what tener ratón means? Based on the theme of this blog post, I assume that you’ve already gathered it means “hangover” as opposed to being the proud owner of a lovely pet rat. Tengo un ratón en la cabeza. — I have a hangover. Estoy enratonado(a) — I’m hung over (can be used both masculine and feminine). And to round off this list of regional slang, tener ratones en la cabeza or tener ratón only makes sense in one country—Venezuela! So the next time you’re traveling through Caracas or Angel Falls and run into some locals after a night of fun (while shoving stuffed arepas into your mouth), remember how to talk about those rats in your head! Please if you like our post share it!